Why bother staying a night in Gyeongju? Gyeongju is a very historic city with many UNESCO World Heritage Sites such as Bulguksa Temple, Seokguram Grotto, Gyeongju Yangdong Historic Village, and Gyeongju Historic Areas. Some sites that are included in the Gyeongju Historic Areas are walking distance from the city center (Royal Tombs, Donggung Palace & Anapji Pond, Cheomseongdae Astronomical Observatory, Gyerim Forest, Banwolseong, etc) and other World Heritage Sites are a short bus ride away (Bulguksa Temple, Seokguram Grotto, Gyeongju Yandong Historic Village, etc). For history buffs, a night in Gyeongju would not be enough. And the best location to stay, in my opinion, would be near the sites and near the bus terminal. So, you know, I could just walk to the sites and to/from the bus terminal when I arrive/leave. 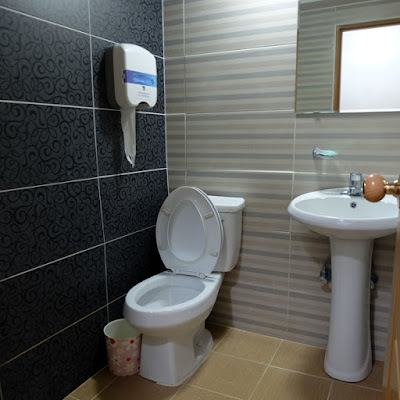 Chacharang Guesthouse is just a 10-minute walk from the Intercity and Express Bus Terminals. It is right next to the Royal Tombs park. Plus there are nearby bus stops (for city buses). I arrived at Chacharang Guesthouse in the morning, hours before check in time, but the kind, elderly owner immediately let me check in. 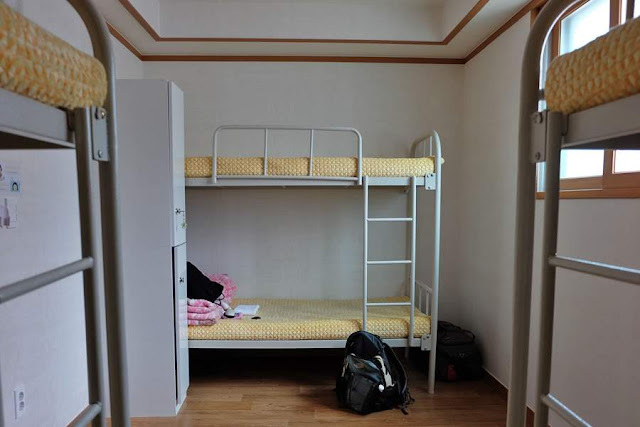 The guesthouse had many rooms: 6-bed dorms (all-female/all-male) and private rooms (for two, four, and five persons). I stayed in a 6-bed dorm. There were lockers in the room, one for each bed. A bath towel the size of a hand-towel was provided for each guest. The bunk beds didn't have a curtain, nightlight, and dedicated power outlets. But I did see four power outlets in the room. Each room had its own private toilet and shower. Shampoo, soap, and toothpaste were also available. I guess it was lean season—I only saw two other guests: my roommates who arrived later that night. And, maybe because we were only three guests, most of the lights in the hall and in the reception and dining areas were turned off and these areas were too cold. On a positive note, the owner was very kind and helpful. He searched for the bus schedule for Gyeongju Yangdong Historic Village when I couldn't find the info. And he also allowed me to leave my luggage at the reception after I checked out and while I visited Yangdong Village in the morning. 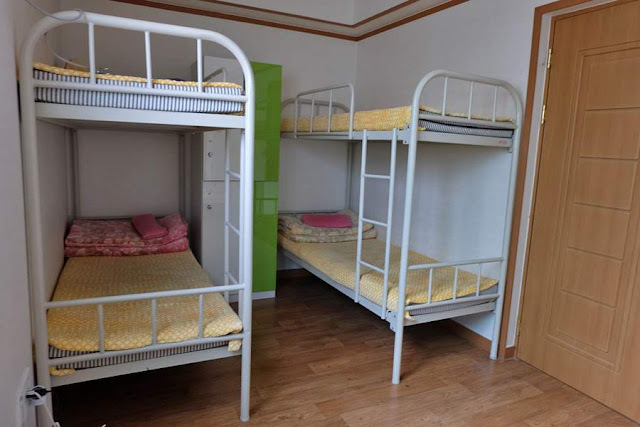 Dorm beds start at 18,000 won. 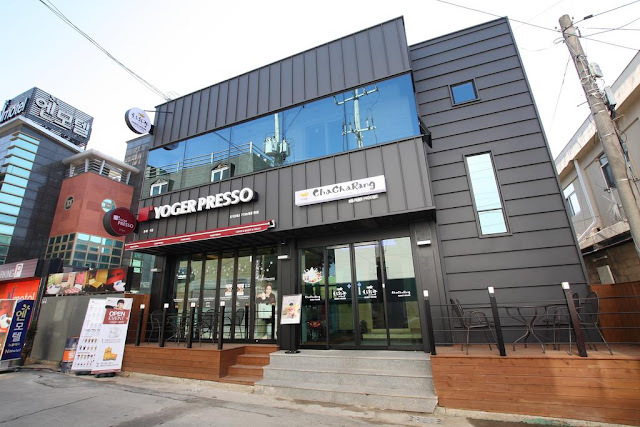 Private rooms start at 70,000 won.